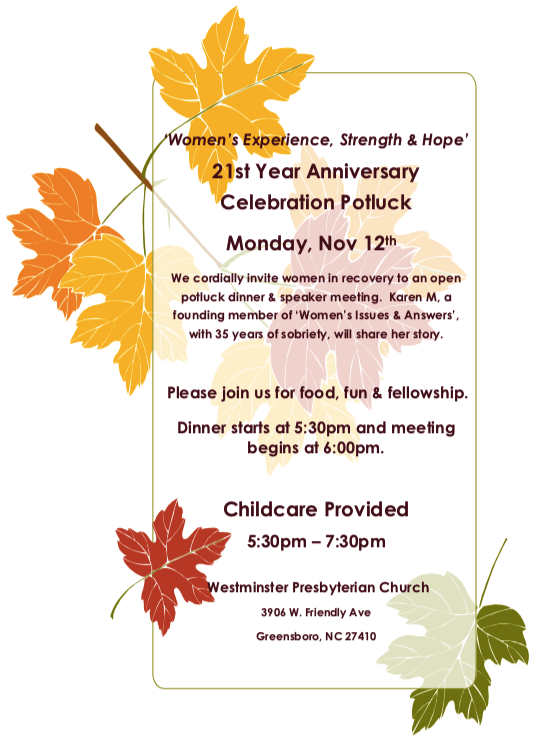 We cordially invite women in recovery to an open potluck dinner & speaker meeting. Karen M., a founding member of ‘Women’s Issues & Answers’, with 35 years of sobriety, will share her story. Please join us for food, fun & fellowship. Dinner starts at 5:30pm and meeting begins at 6:00pm.